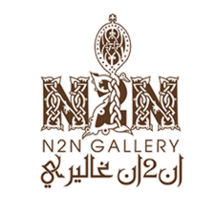 N2N Gallery is an Abu Dhabi based art gallery born in May 2013 with the ambition to help everyone discover the rich diversity of the European Academic School of Painting, as well as the high professionalism of the contemporary European artists and their exceptional art. Founded by art enthusiast Natalya Muzaleva, the gallery blends sculpture, graphic art, and paintings in a surprising fusion between realism and modernism. The gallery’s collection is being renewed constantly and it currently comprises over 170 original works, including paintings, graphics, and sculptures. Additionally, N2N Gallery organizes art master classes, inviting well-established artists to teach UAE art lovers and is genuinely committed to support the development and increase the interest and the dialogue within the local art scene.